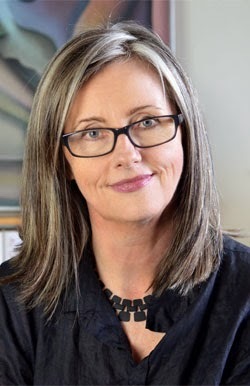 Kids' Book Review is delighted to welcome award-winning author Fiona Wood, who very kindly took the time to chat with KBR editor Jo Burnell about her writing process and current projects. How on earth did you make the switch from writing T.V. scripts for shows like Home and Away, Neighbours and The Secret Life of Us to Young Adult novels? Are the two types of writing alike in any way at all? How are they different? I was writing a script for a television show that was axed, so I had some unexpected time to work on my own project, a film screenplay. While I was doing that, a very distracting character kept creeping in at the margins. He had nothing to do with the screenplay. It was Dan Cereill, the protagonist of Six Impossible Things – not that he, or the book, had names at that stage. He was a fourteen, turning fifteen-year-old, wordy-nerdy, sensitive, funny boy with a lot of upheaval in his life. He started taking up my headspace, so I stopped working on the screenplay and wrote a story for Dan. I was interested in his inner-life and his reflections on what was going on, so I decided that a novel was the right form for the story. And so the slow process of learning to write for another medium began. Like all writing, it’s very much a case of learning by doing. I wrote five drafts of that manuscript over about three years. For me, a novel is more difficult to write than a screenplay: you are creating the world of your book and everything in it – every idea, every image, every character, everything a character feels, thinks and says, every locale, every atmosphere – with words alone, whereas in a screenplay there are lots of collaborators sharing those tasks – the director, the director of photography, the cast, the production designer, the composer, to name a few. But, conversely, it’s easier to get a novel published than it is to get a TV show produced. It’s a simpler transaction: in essence it’s 1 manuscript + 1 publisher = 1 book, whereas putting the pieces together with finance and key creative personnel and a network etc, when it comes to TV, is much more complex. Some similarities between the two types of writing are that you are telling a story in both forms. You still have to decide what that story is, and how it is best told, so you are dealing with plotting and narrative structure. You are creating characters, and writing dialogue. I feel very lucky to have had all those years of writing scripts before writing my first novel – dialogue, for example, was a craft area I already felt comfortable with. Some people hit on an idea and simply write till their story emerges. Others plan every scene before picking up a pen. You don’t just write stories: you write award-winning stories. How do you go about your craft? So far I’ve started my three novel manuscripts in roughly the same way, with one character I’m very interested in, and some ideas around that character. I spend a fair bit of time on story and plotting before I start to write. Those terms have slightly fluid definitions; by ‘story’ I mean what happens, by ‘plot’ I mean the way in which the story is told. I also write quite detailed story outlines. And I write storylines for all the characters, even the minor ones. I wouldn’t start writing a book unless I thought that I had a structure that worked. That is an imprecation to some writers, but, to me, starting to write without it would be like starting to cook before checking I had the ingredients I needed. Because I write quite slowly and I write lots of drafts, I don’t want to waste time writing towards a foreseeable dead end. Once I start writing, I explore various technical options such as what point or points of view, what person and what tense will best suit the material, and I work on the voices of the characters. This early first draft writing is where a lot of stuff gets deleted before I settle into what I hope the shape and the tone of the book will be. So, the two things I do are lots of planning before the writing proper begins, and then a lot of drafts. Your characters feel so real that I sometimes think I am sitting in the room with them as I read. How do you make your characters come to life? Has it got anything to do with your screenwriting background? Do you stand in front of the mirror and pretend to be each one in turn? Thank you! I think the most helpful thing with characters is just to live with them for long enough. Once you decide on the shape of a character and the character’s purpose, your subconscious keeps adding flesh and providing understanding. Paralleling that is the writing and re-writing – by which I mean you can understand a lot via what doesn’t work on the page, and chucking that out and trying to make it better. Lou was a minor character in Six Impossible Things, but then took centre stage in Wildlife. How did that even happen? Wildlife started with Sibylla, a character experiencing the slow death of an old friendship, and the early days of her first romantic and sexual relationship. She is in a state of flux, and not quite sure who she is. It occurred to me that what she really needed was a friend like Lou. Once I decided to bring Lou into Wildlife, I had to devise a story that would feasibly motivate her removal from her old school to a new school. I realised that it would be the death of her boyfriend, Fred (in the narrative space between the two books). Although I was miserable about Fred dying, it was interesting material, and I decided to give Lou more prominence by having a structure with dual narrators. Lou’s storyline was to observe the mess Sibylla was making of things, to resist integration into the new school, while mourning for Fred in a self-imposed exile, and eventually to help Sibylla, and thereby to re-engage with the world. Sibylla was difficult to write, technically, because she is a character who doesn’t quite know who she is, and is trying on different versions of herself, so the ‘outsider’ perspective, provided by Lou’s character, was essential. It allows for an analysis and critique of Sibylla’s motivations and decisions that otherwise, because they are sometimes oblique to Sibylla, would also have risked being oblique to the reader. Had I not structured the narrative with Lou as an observing outsider, I would probably have needed an external narrative voice via a third-person presentation of Sib’s story to provide that commentary or critique. It’s interesting working that stuff out – there are so many ways to tell any story. I’ve always loved coming across characters who migrate from book to book. Early examples of this in my reading include books by Alison Lurie and J.D. Salinger, and closer to home it’s something that Melina Marchetta and Jaclyn Moriarty have done. The protagonist of the next book, Cloudwish, is Van UocPhan, who is a very minor character inWildlife. She’s a maths-nerd friend of Michael’s. The three books don’t comprise a series, each is a standalone title, but they have some overlapping characters. Once the next draft of Cloudwish is finished, I hope to spend some time on the book that Simmone Howell and Cath Crowley and I are writing. We’ve had a hard time this year lining up free time at the same time, so we’re running late with that one, but all looking forward to getting back to it. After that I’d like to write more YA, and I have a new idea in early outline; I can’t imagine not wanting to write for teen readers. Middle grade fiction also lures me – it was a time in my own reading life that I loved, so I’d like to have a go at writing something for that grade-six girl. And because adult fiction is still my staple go-to reading, I’m also interested in that readership. 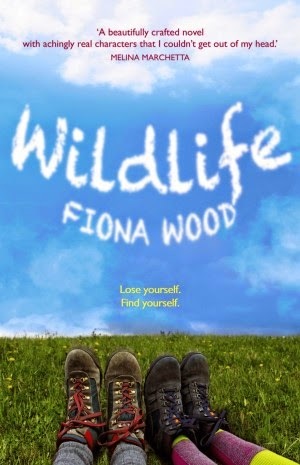 Fiona Wood is an Australian author of YA Fiction. 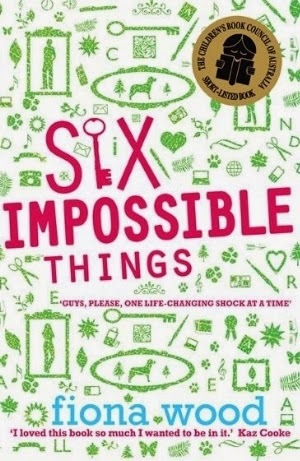 Her books Six Impossible Things (KBR Review) and Wildlife (KBR review) are both published by Pan Macmillan and have been shortlisted for numerous awards, with Wildlife winning the CBCA Book of the Year for Older Readers in 2014. Visit Fiona's website for more information about her books and writing.